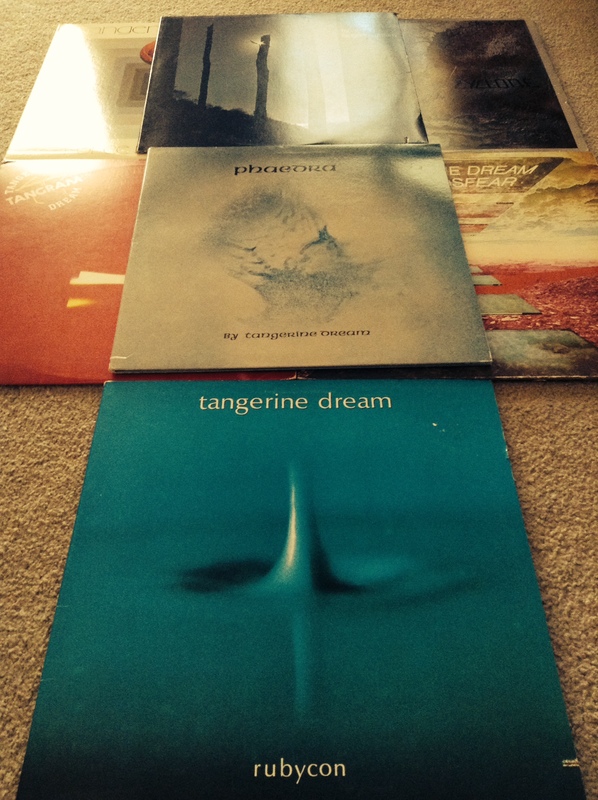 So what does all of this have to do with Tangerine Dream? Well, I happen to love early-mid 70s Tangerine Dream as well as their 80s film scores. Their albums in the 70s were these long instrumental excursions that felt like you were falling into this endless void. There wasn’t anything cutesy or tongue-in-cheek about their albums. There were no overwrought lyrics about space odysseys or battles of good and evil. Just these synth drones and electronic pulses that were completely open to interpretation. Without lyrics to push you in a certain direction their albums are completely open to take you wherever your big dumb head would allow them to. I think that’s why over the last couple years I’ve drifted more towards instrumental albums. Away from the confines of pop music and story-based songs and towards atmospheric, instrumental-based music. Tangerine Dream was the start of that for me I think. The first Tangerine Dream record I ever bought was Tangram back probably 4 or 5 years ago. I snagged it for $1 at a Half Price Books. My only real experience before that with them was their soundtrack for the 80s movie Firestarter, based on Stephen King’s book and starring the cute and adorable Drew Barrymore(prior to being a coke-addled Hollywood starlet.) I remember even as a kid that the music affected me. It was soothing and disturbing at the same time. So since I was looking to find something different on that trip to HPB and it was only $1 I figured why not? Glad I did as that album really appealed to something in me. It was the beginning of a new musical path for me. This led to getting into bands like Explosions in The Sky, Godspeed You! Black Emperor, Zombi, all those great Italian Horror soundtracks by Walter Rizzati and Fabio Frizzi, and my ultimate obsession, Boards of Canada. I feel like with these albums I can think clearer. If there is something called being “in the zone”, then I feel these synth-driven albums put me there. As of late, albums by Jakob Skott, Jonas Munk, as well as their collaborative band Causa Sui have allowed for further mind-expanding excursions. Skott’s Doppler and Amor Fati and Munk’s Pan albums are very much in the spirit of Tangerine Dream, as well as a hefty chunk of BoC, NEU!, and Kraftwerk thrown in for good measure. But without that purchase of Tangram, I don’t think I would’ve followed the rabbit down the rabbit hole. Since Tangram, I’ve expanded my Tangerine Dream collection to include Stratosfear, Cyclone, Force Majeure; with this week’s additions being Ricochet, Rubycon, and Phaedra. I have to say, these last three are their masterpieces, with Phaedra and Rubycon being the ultimate examples of their musical power. Exquisite nuggets of progressive and ambient electronic music. You really can’t go wrong with them. While not original pressings, they are 1981 Virgin International represses and they sound amazing. My buddy John at Karma Records of Warsaw hooked me up. Stop saying prog-rock, people. When you say “prog-rock” it sounds ridiculous. When you say “progressive rock”, then it sounds like something. It’s all in a word. Change those prog rock nightmares into Tangerine Dreams. 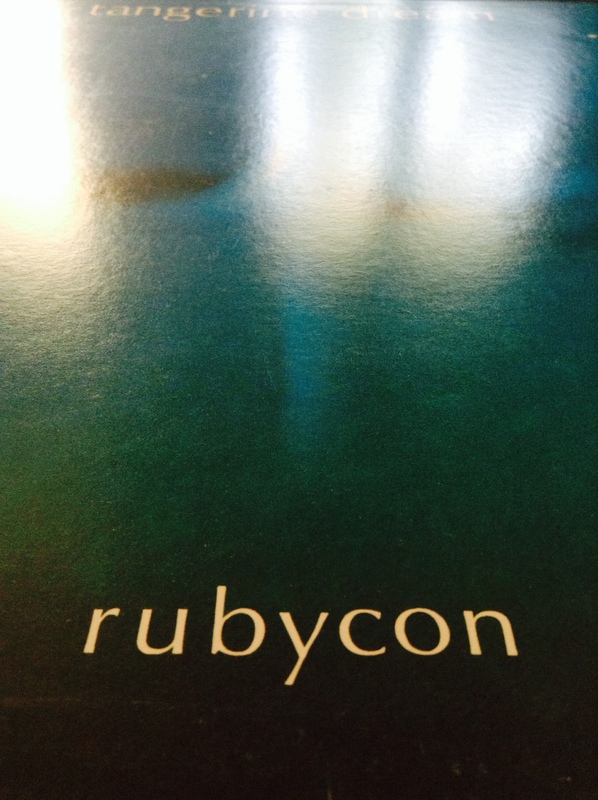 Rubycon turned my brain into Legos. And then what did you build from your brain Legos? I really enjoyed this post (and the recent synth theme – though I doubt it’s building your subscriber base much, more’s the pity!). As a massive fan of TD (and progressive music generally) since stumbling across Phaedra soon after its release, I’m tempted to assault you with a barrage of recommendations and show-offy collector crap. But I will resist. …other than to say that while totally endorsing your current TD holding and agreeing with all your comments, I highly recommend the first four pre-Virgin albums. The first is edgy, experimental and not even synth-driven – a dystopian schizoid trip that still unsettles. And Zeit, their third album, is their masterpiece (opinion, natch). Over four sprawling sides it will take you places you will not expect, and keep doing that over years to come. The lavish Reactive Records re-issue is great if you have the funds and can locate a copy. I love this! Recommendations are always welcome, and I shall take yours. Zeit is one I’ve heard bit but not really dug into. I will start searching for both immediately. Always share . I love the passion of others. Since this little interchange, I’ve started writing a piece about Electronic Meditation in my head. This is either weird, wonderful or a bit of both. Cannot wait to read it. I see weird and wonderful as parallels. I built Lego Doritos, and then ate them. The single most deepest thing I’ve read all year.